The Indian Himalayas is known as the abode of snow. These impressive-looking mountains posses some of the most remarkable natural grandeurs on the planet. The natural splendor of Indian Himalayas can’t be confined in words, as it is one such nature’s gift to humankind that depicts different faces of nature, like the snowcapped peaks, glaciers, virgin villages, gleaming rivers and affluent vegetation. 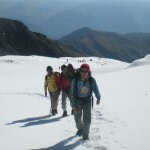 Trekking in the Indian Himalaya is a must-do activity for any person who is an adrenaline junkie. Trekking in the Himalayas certainly turns out to be an unforgettable experience for every adventure enthusiast. It is all about facing the hair-raising challenge and conquering some of the highest mountains in the world. Measuring the trail formed due to freezing of Zanskar River, Frozen River Trek or ‘Chadar Trek’ of Ladakh is amongst the toughest treks in India. The climate dips to as low as -25 to -30 degrees and makes the tourist feeling a frisson. A trail blessed with bewitching natural beauty, Chadar Trek takes the tourists to native Buddhist culture through various monasteries and pristine regions. 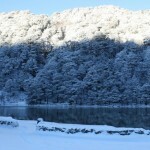 When to Visit: Mid January to February is the best time to visit this trek. Highly popular among the tourists looking to satiate their adrenaline rush, Kuari Pass Trek in Uttarakhand offers amazing views of the Greater Himalayan Range. The trek passes through verdant valleys, thick forests and quaint villages. The splendid snow-capped peaks of Chaukhamba, Nanda Devi, Hathi Ghodi Parvat, Kamet and Dronagiri are the key charms of this trail. When to Visit: Mid April to June and September to November are the best periods for this trek. The emerging point of the Bhagirathi River, Gomukh is considered as one of the immaculate spots in India. Gomukh Tapovan Trek takes the tourists to this sacred spot. On the trail, the adventurer is endowed with sights of several mighty peaks such as Mt. Shivling, Chaturangi, Bhagirathi (I, II & III), Meru Parbat, Sudarshan and Bhirgupanth. A moderate trek, Gomukh Tapovan Trek, also proffers jaw-dropping vista of Bharals – the blue mountain goats commonly found here. When to Visit: May to October is the best duration to undertake this trek. 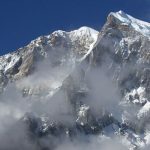 Cosseted by majestic peaks, Singalila Kanchenjunga Trek is also considered as on the most popular treks carried out through the midst of nature’s grandeur. The breathtaking view of Kanchenjunga can be relished from the Singalila Ridge, from where it is a long and exhilarating journey to Goecha La Pass below Mount Kanchenjunga. 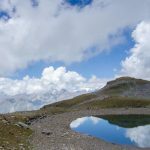 Another aspect of this trail is that the altitude gain is steady, so there is sufficient time to get oneself acquainted with the prevailing weather conditions. This trek takes tourists to one of the last remaining spick–and-span Himalayan backwoods. 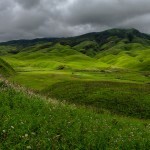 When to Visit: Mid March to May and September to November are the best seasons for this trek. 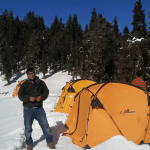 This trek comprises scouting Parvati Valley in Kullu and Pin Valley in Spiti, Himachal Pradesh. It is a challenging trek starting from Manikaran and passing through various pristine villages, lush meadows, royal mountains and astonishing lakes. With a maximum elevation of 5335 meters, the Pin Parvati Trek never fails to grab the eyeballs of adventurers. One of the most famous treks in Ladakh, Markha Valley Trek is a moderate trek that transverses through monastic settlements and unblemished villages of beautiful Markha Valley. The trail covers Kongmaru La offering the astounding vistas of K2 and Karakoram. Some elating sections of Markha River crossing through rocky boulders are the prominent making this trek a trekkers delight. When to Visit: Mid June to Mid October is the best time for this trek. Carried out in the scenic and immaculate region in Sikkim, Dzongri – Goecha La Trek takes the trekkers to the wonderful panorama of mighty Kanchenjunga in the midst of many other lesser Himalayan mountains in the perimeter. Trekking through the stunning high mountain glacier is certainly an awe-inspiring thrill. When to Visit: Mid March to June and September to Mid November are the best periods for this trek. 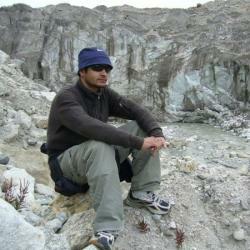 The numinous magnificence of the Indian Himalayas has fascinated many trekkers from across the globe. Therefore, if an adventure enthusiast desires to walk down the verdant and extravagant paradise on earth and scale up the Rocky Mountains, then Indian Himalayas is the ideal destination for him.